To understand the story of Abuelo’s, one of the more upscale Mexican restaurants in our country, you first need to go to back to China where the very young founder, James Young fled to Taiwan with his Chinese parents to escape the civil unrest of communism and civil war that plagued China at the time. With luck and intelligence on his side, Young was one of the few that had the chance to go to college where he received his degree in electrical engineering. As required by the Taiwanese government, Young then served two years of military service before being accepted into the master’s program at Texas Tech. In 1974, Young left the East for a better life in the U.S. His girlfriend, who would later become his wife, in Taiwan followed the same desperation to seek a better life for herself and also arrived at Texas Tech while Young finished his military duty. While in the master’s program, Young began to see his friends get employment completing their education only to get laid off later with their employers. Young felt a different road would be better for him and his family and after working at McDonald’s for a while and learning about the restaurant industry, he did what so many successful entrepreneurs are willing to do, and that was to take a significant risk. On 34th Street in Lubbock, Texas Young purchased a taco stand that had gone out of business. He loved being able to serve others in the restaurant industry and so Young quit his higher education at Texas Tech to focus on his next venture opening up a restaurant location in Lubbock to serve the Chinese food his mom taught him growing up. He was doing so well; he began opening new locations of his Chinese restaurants which led Young to Amarillo, Texas. It was in Amarillo that Young ended up with two restaurants close enough to each other that one might hinder the other. At the suggestion of a friend, Young turned one of the locations to a Mexican restaurant calling it Abuelo’s. The restaurant did so well that Young decided to pivot his business focusing solely on Abuelo’s and walking away from the Chinese cuisine he knew so well. He held on to the Chinese restaurants he had established until 1996 when he sold them to focus only on Abuelo’s. The menu may have changed when Young began serving Mexican, but he never forgot where he came from hiring lots of refugees in the ’70s and ’80s both employing them and helping their families. This developed a lot of loyal employees that were a large part of the foundation that makes Abuelo’s Mexican Restaurant what it is today. 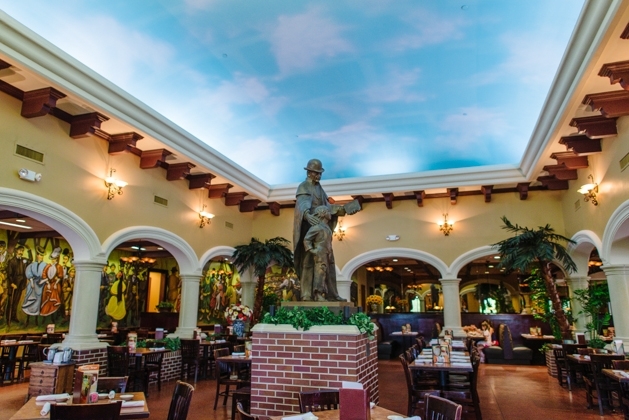 What Is It Like To Work At Abuelo’s Mexican Restaurant? Name Origin: Named for James Young’s grandfather. Abuelo’s is Spanish for grandfather. Please use this link to find Abuelo’s’s locations so that you can call your local store to inquire. Do Kids Eat Free at Abuelo’s? Summary: At this time Abuelo’s does not offer a kids eat free promotion. Does Abuelo’s Mexican Restaurant Offer Military Discounts? Summary: Abuelo’s has a Veteran’s Day page on their site where you can read their current promotions being offered as it relates to Veteran’s Day. What Does Abuelo’s offer for My Birthday!? Does Abuelo’s Offer First Responder Discounts? 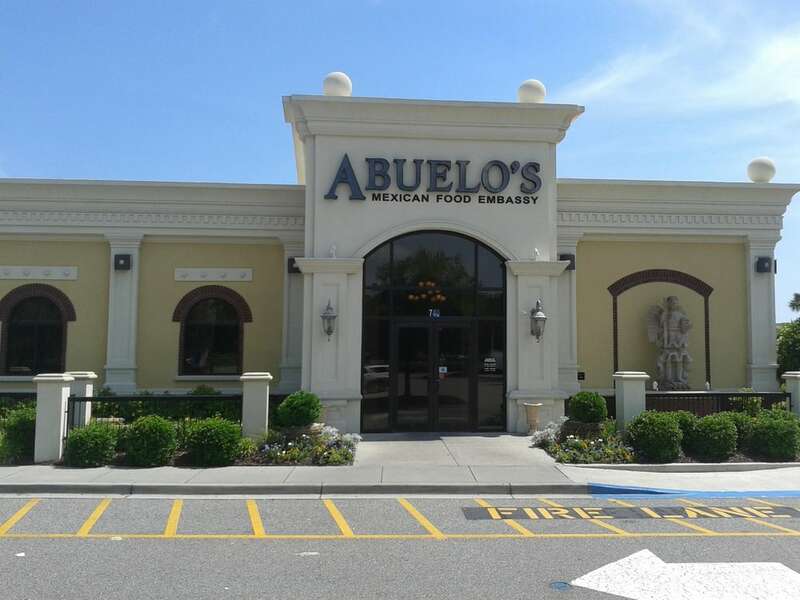 Does Abuelo’s Offer Senior Citizen | AARP Discounts? Summary: At this time the chain does not offer any senior citizen discounts. Are There Any Other Discounts or Benefits at Abuelo’s? Summary: The restaurant chain offers their Abuelo’s Loyalty Program which provides several ongoing benefits. Check their page for current information and promotions. Also, make sure and check out our Rewards Program Page for links to all restaurants featured on Back of the Menu. Vegetarian | Vegan Options: Abuelo’s offers Vegetarian Fajitas, but that was the only official vegetarian option listed on their site. Below are some additional sites that will help you look for vegetarian choices when you dine out. Allergen Information: Abuelo’s doesn’t offer allergy information at this time. Peanut Free Options: All Menu Items for Abuelo’s state the following: “Please be advised that food prepared here may contain peanut products”. The articles below may also be helpful to you. Does Abuelo’s Have Any Secret Recipes? The story of James Young is an example of one of the very reasons I started Back of the Menu. He may be from China by way of Taiwan, but he has created the American dream for himself and his family by taking a chance and a lot of hard work while treating others like they would want to be treated along the way. Most would have stayed at Texas Tech and finished their advanced degree in Engineering, but Young (and his now wife) decided to trust their abilities, talents and hard work rather than trust the process of being an engineer working for someone else. Having eaten at Abuelo’s a handful of times over the years, I’m certainly glad he did. We, of course, need engineers but we also need more people like Young who is willing to take a risk and trust their abilities to create something instead of giving their hard earn work, raw talents and best years of their lives to working for someone else. If so, we may have more companies like Abuelo’s, the country’s leading Mexican restaurant, year after year.